You just received a wedding invitation. 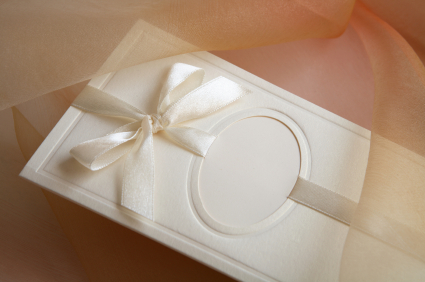 Well, if you received an invitation whether you attend the wedding or not, a gift should be sent. It’s the proper thing to do. Read the invitation through. Don’t bring a guest if the invitation is addressed just to you, or your children if it’s addressed to “Mr. & Mrs”. The bride and groom have planned for all the individuals they have invited, so replying that you will be attending with more people than what the invitation was addressed as will only make things more difficult for the wedding couple. Invitations will give you a sense of the type of wedding that the couple will be having, furthermore let’s you know how to dress for the wedding. Responding to the invitation in a timely manner really does help the bride and groom with their planning, so don’t postpone replying too long.